It’s only 32 sleeps until C-Day (I think!) and if you’re yet to finish your menu planning and present shopping have we got some ideas for you! I can’t think of anything worse than playing dodgem with the trolleys and crowds at a suburban shopping centre and love to see our main streets, small businesses and social precincts buzzing, so here are my 10 no brainer ideas for shopping locally this Christmas and ending up with better gifts, food and more enjoyment in the process! Buy your meat from a local butcher. Seriously, we have at least five of the best butchers in Perth nearby so there’s no reason to be standing in front of the meat counter at Coles. Whether it’s a traditional Christmas roast, Boxing Day barbie or an impromptu get together with friends, check out places like Mondo di Carne, Hampshire on Eighth, Paddock + Farm, Princi’s or Torre’s for some of the best tasting meats you’re likely to find. Give the gift of reading. What better way to relax on your break or entertain the kids when they’re off screens than a book. Whether it’s a the real thing or a voucher so your loved ones can choose their own, you can’t go past Planet or Beaufort Street Books in Mount Lawley for their great advice and well curated selections and now we’ve got newcomer Rabble Books & Games (games – there’s a thing for the holidays!) in Maylands too. Go gourmet. Whether it’s to serve at your own table or give as gifts to the fam, there’s some amazing and tasty gourmet goodies at the Little Cheese Shop in Baysie, Black Pig in Inglewood, Smoults and Honey I’m Home in Maylands and Hobart Deli Larder in North Perth for not much more than what you’ll probably pay at Woolies or get in a Target hamper (no offence Target, but it’s not even close to being the same). And don’t forget to ask for what’s locally made! Breads and desserts. You’ve got Mary Street Bakery, the Woodfired Baker, The Pearl of Highgate, Chu, Dolcetto – the list goes on! It’s once a year. Spoil yourself with the good stuff. Shout yourself some new clothes and/or accessories (or hit the op-shops! ).Retailers have been doing it tough and most have some form of sale on already or alternatively, invest in a gift voucher for your loved one and wait for the Boxing day sales! 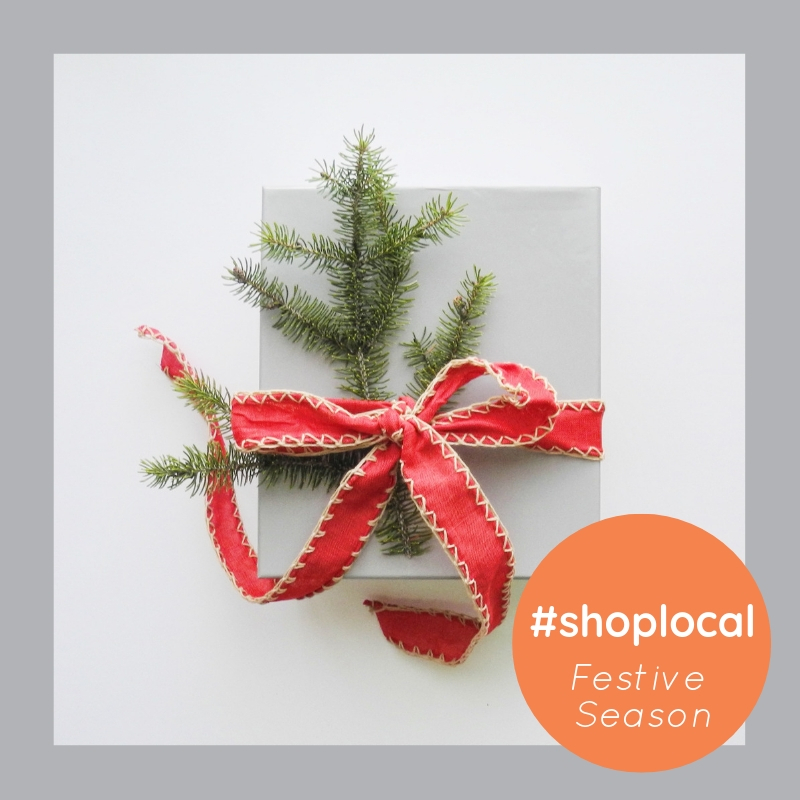 Check out Department, Estrela (for special jewellery pieces), Jack Clothing, Elroy & Oli in Mount Lawley, Morgan Marks in North Perth, Ox-Blu (for men), Lulu & Sasha, Look Feel Be or Avenue Apparel in Maylands and The Annex and Torso in Mount Hawthorn. And if you’re averse to adding to land fill or just after a bargain? Check out our recent blog on 5 to try local Op Shops. Something personal or for the home. Where to start?! Faves include Future Shelter and Angove Street Collective in North Perth, Daisy and Rowe and Firefly Gifts in Maylands, Orno Interiors in Highgate, Ware in Mount Lawley and Yoke, La Luna and Mia Flora in Inglewood. And for gifts with a vintage twist, check out Vintage Emporium, So Last Century and Jungalow! Especially for kids. If you’re looking for something special for the cherubs in your life try Max & HOUND in Maylands and the gorgeous Stripey Horse in Inglewood (opposite the library). Pamper a loved one. Nothing says I love you (or you look like crap and in need of a pick me up!) like a pamper session. Be it a gift voucher for make-up or a treatment at your favourite local beauty salon like Cult Cosmetica in Inglewood or a 90 minute specialist massage (as in not frequented by suspect looking types) from Wellness on Beaufort, Muscle Moves on Walcott Street or Physical Focus at the Terry Tyzack Aquatic Centre. Breakfast/lunch/dinner on you! We love spoiling our buyers and sellers with a voucher to a local cafe, restaurant or small bar in the suburb they’ve just moved into. It’s usually as simple as calling or popping into your fave to get one. Soooooo much better (and more welcome) than a Coles/Myer voucher. A bottle (or two) of booze. My family knows that the present I love most is a good bottle of bubbles. Or Red. Or both. I’ve already bought myself my Christmas Day treat from deVine Cellars, and teams at Grand Cru Wineshop & Cellar in Mount Lawley and La Vigna in Menora are brilliant too. These are the places I go when I want to give a bottle of something as a gift but not something you’ll find in Dan Murphy’s. They all have some great boutique and lesser known labels that are no more expensive than what you’ll find in the chains and barns. And they’re all local and independently owned. Who knows, you could find yourself a new favourite! So when it comes to the festive season, there’s no need to grit your teeth and contend with the masses at the nearest mega centre. Take your time, savour a quality coffee (or lunch) on the way and check out the fabulous stores that exist in our local suburbs, comfortable in the knowledge that you’re contributing to the sustainability of your community and the small businesses within it. Enjoy!